When it comes to comprehensive visibility, most cameras fall short. 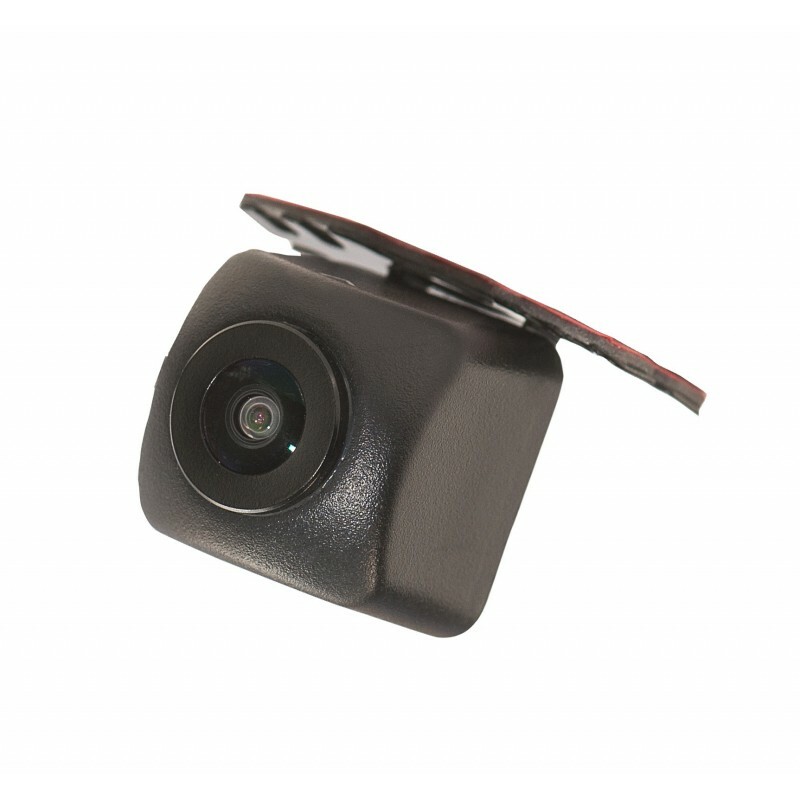 CAM-MV6 is designed to provide multiple viewing modes including a 180° wide-field view that exposes areas that might otherwise fall into a troublesome blind spot. The 180° field of view is one of the widest on the market, offering a full visual of a car’s surroundings without creating blind spots. Packaged with a universal mounting bracket, complete with screws and adhesive tape, CAM-MV6 can mount on a lip or a flat surface, serving as a front or rear camera. 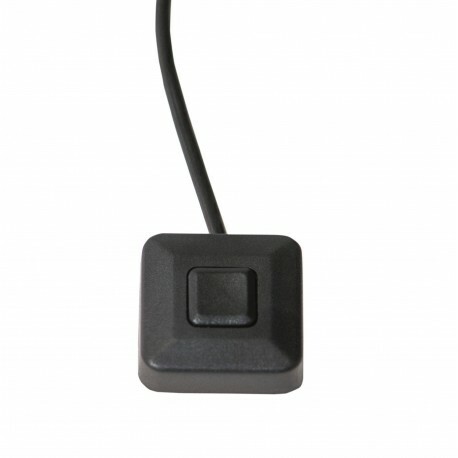 A convenient one-touch button, located within your reach, lets you switch between different viewing options to help you see around obstacles, making it easier than ever to make a turn or back up into oncoming traffic. Say goodbye to awkwardly inching forward, trying to get a handle on oncoming traffic because a tree or a stop sign is in the way. CAM-MV6 lets you see around these obstacles, without endangering yourself by pulling too far forward or backing out too quickly. 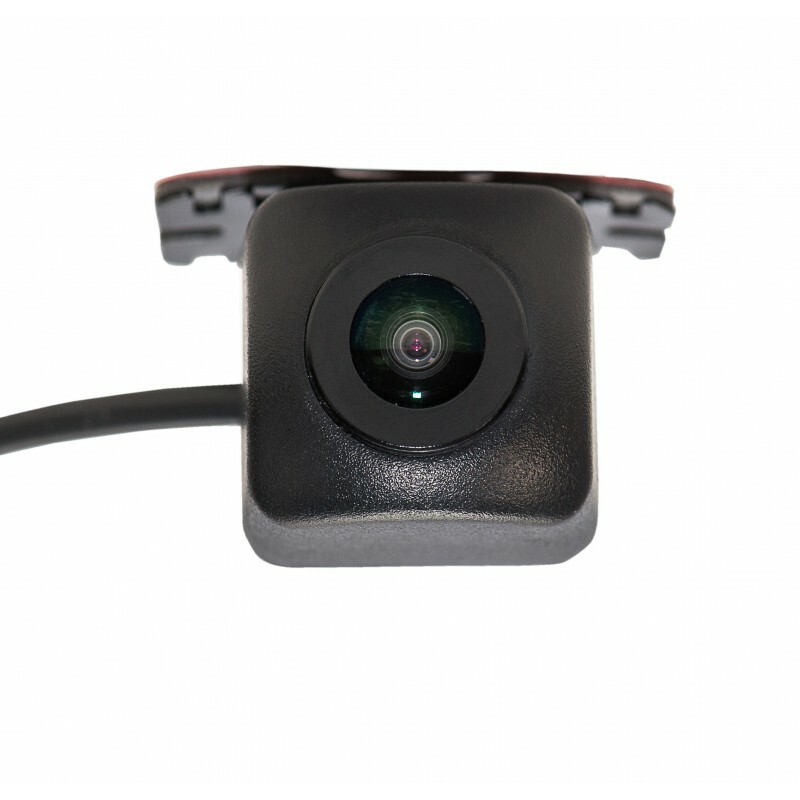 With CAM-MV6 installed as a front or rear camera, you can stay aware of your surroundings for a safer, easier, and less stressful driving experience. When installed as a front camera, the driver has two view options to select from. The wide viewing angle allows the driver to see around objects, offering more visibility than the standard backup camera. 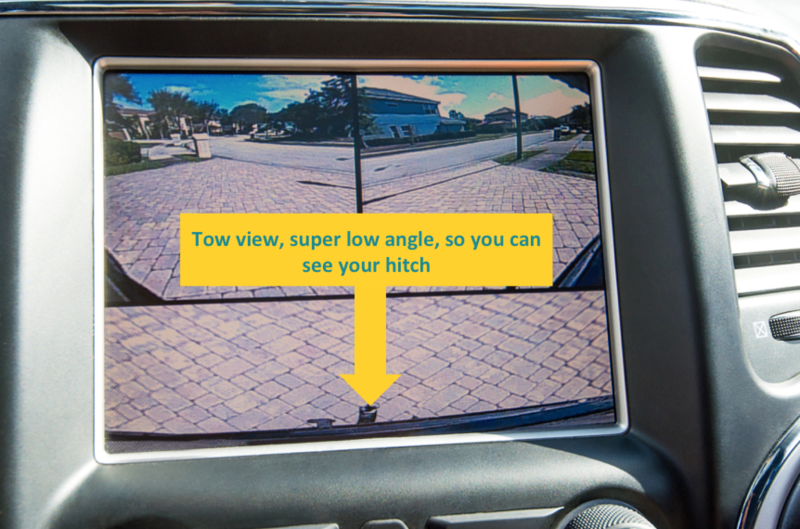 The backup camera will display in 180° extended mode automatically when the driver places their car in reverse (as seen above), but the driver can also manually flip between alternate viewing modes, to assist them in situations where a different angle is needed. The view below displays a lower angle, which can be useful when backing into a trailer or boat. The lower view will allow the driver to see the hitch on their car, and back into that trailer with ease. 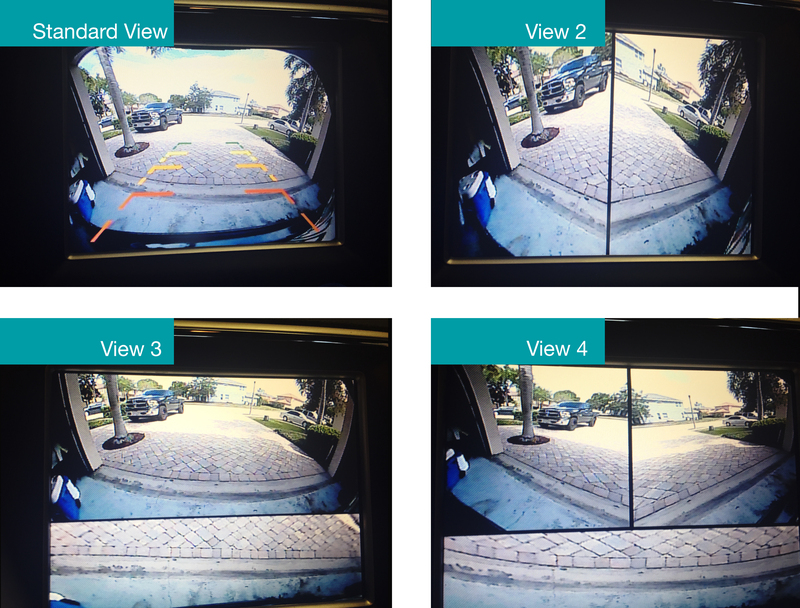 When the standard 180° isn't enough, the driver can use the split screen extended view, to widen their field of view, this split screen view can be shown with the lower view, or alone.